Listen to KiSS RADiO to hear Non-Stop Hits 24/7! Uncover what’s hot in music & pop culture, and discover all things happening from Chilliwack to the north shore. Need a laugh? Wake up with the KiSS Breakfast with Randi, Andrew & Susie, featuring the KiSS MiXX @ 8. They'll make your day. We promise. 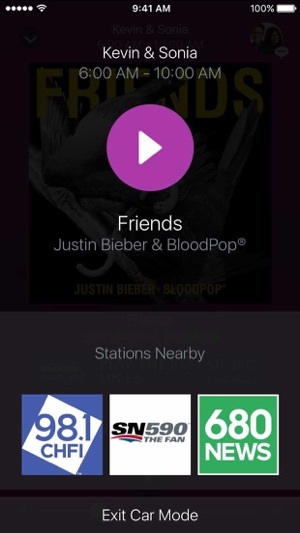 • Instantly listen to a live stream of our partner radio stations, and view accompanying album art and artist information. • Watch videos on-demand, including in-studio performances, interviews and behind-the-scenes footage as well as video from our partner brands. • Listen to clips on-demand, including show highlights, podcasts and full-length interviews. 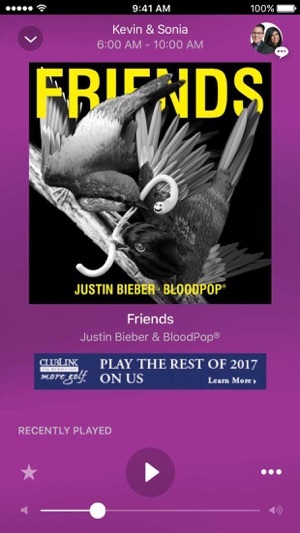 • Add songs, articles, videos and contests to your personalized favourites list. • Get social by easily swiping through our Facebook, Twitter & Instagram feeds – without leaving the app. • Listen in “car mode” (do not use app while driving). I tried to set an alert thing and put in my phone number. Every time I try to reconfirm the alerts, it never sends anything. I double checked the phone number too!